The name "Mooreana" comes from an asian butterfly that preserves the leaf on which it forms its cocoon. Thus our goal at Mooreana's Mind and Body retreat is the maintenance and preservation of mind, body and spirit. Mooreana’s offers a full range of therapies to help ensure that you relax, heal, and rejuvenate. Our services include stress melting massages, refreshing anti-aging facial treaments, and detoxifying body wraps. Our products and services are both designed to be enjoyed by both women and men. 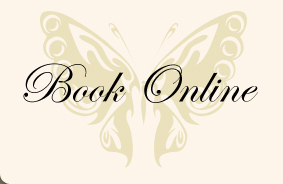 You’ll find all of our treatments and packages affordable, professional and delightful. We look forward to helping you maintain good health and well being.